I believe that observation is a bit harsh but to each their own. You must admit, he is in a no-win situation regardless as a drummer. He will always be compared to his father and if he would have gone in a different direction people would complain he is ignoring his fathers legacy. Personally I would hate to be saddled with such an albatross knowing regardless of how good I was, how original I was, I would never be considered a worthy successor to such a larger than life father. At least he is successful and seems to have embraced who he is compared to what the children of most famous musicians have done. Good for him I say. Jason has had his own style since the 80s. He seemed to rebel against excesses in 70s style playing generally.. prolly backer of Stewart Copeland or Phil Collins type drum economics. Disregard of timekeeping is not a good thing, and the 80s drum mind is rebeling against Hal Blaine and competing with drum machines. Jason's gotten a lot better in my opinion, added a lot of the 'classic' styles. He's punctual with his hits. He can do fast rolls like Ian Paice. Jason is best heard with John pushed out of your mind, which is a funny thing to do when he is playing Zeppelin. I don't think he's pretending he's his father. He clearly states during his shows that he's simply paying tribute. Anyone else think the presenters are a bit alarmed at Jason telling the guitar solo / blow story? You can almost hear them thinking "erm, you sure you want to share that with our listeners"..
Any gig he plays for pay using Led Zeppelin’s name and music is cashing in on the accomplishments of his father. Every band and opportunity since Virginia Woolf has leveraged the last name Bonham. And he carries the weight of his father's name every time he walks on stage to play and the comparisons that come along with it. It works both ways...opens doors and applies expectations and comparisons. Plus, he is a member of Zeppelin, btw. He did win a Grammy as a performing member of Led Zeppelin. Is not and never was a member of Led Zeppelin. I always thought Jason Bonham was a joke. I remember when his solo album came out and I laughed because of the obvious rip off to Zeppelin. then I grew up, having my father around, going on trips together, kicking back enjoying a cold beer, playing some Kashmir for my Dad his favorite Zeppelin song. I was 42 when my father passed away. Jason Bonham was only 16 years when he lost his father. I think Jason did a great Job in 07. Go give a listen to TSRTS from that concert. Jason and Jimmy were on 🔥 fire. And the CD booklet that came with it. It's "Led Zeppelin" and Jason Bonham. 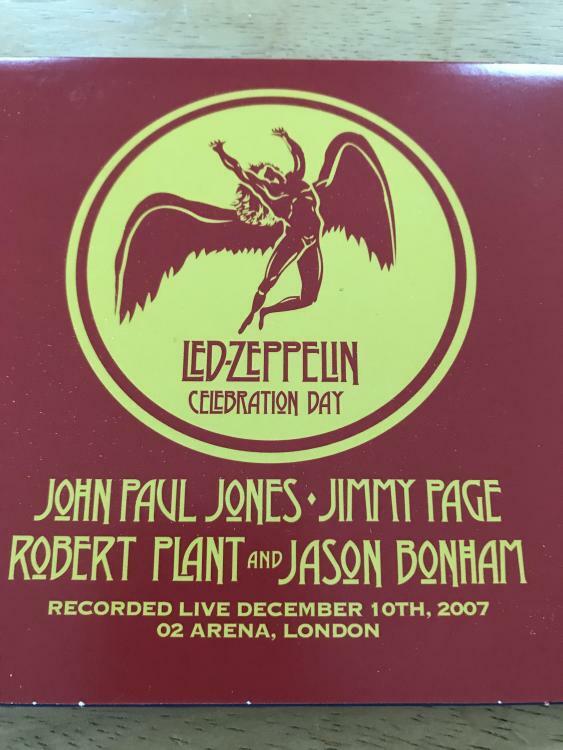 And "Led Zeppelin" with Jason Bonham. So it's a case of semantics, that has arguments on both sides. He was a guest player.. not an official member. There’s nothing wrong with that either. He’s still the drummer on every “reunion Led Zeppelin” appearance but one and a half... (Live Aid. R&R HOF). he appeared at the only full length concert PP and J have played together since 1980. Except he isn't, but don't let that get in the way. You don't want to have this argument with me. You will lose bigly. Believe me. People have been giving Page and Plant hell for years for not dishing out any controversial backstage details, then Jason does exactly that and nobody wants to hear it. I commend him for telling it like it is. Show me a rock musician who hasn't snorted a line or ten. I've always felt that Jimmy's biggest gift to Jason (other than his first line) was having him play drums for Page's first, and only solo album and tour. I thought that was a really generous/risky move for Page, but he brought him in...regardless. I remember Jason royally screwing up Emerald Eyes along with enduring his painful electronic drum solo on the gig I saw in Miami. Page could have gone with any number of superior drummers, but chose Jason. I've always admired that. Plant gave Jason advise. On the other hand, Page really gave Jason a shot and had the confidence in him to pull it off. Thats pretty damn admirable to me. Robert paid Jason 40 quid a week plus all the snacks and lager he wanted to help on the demos for his first solo album. Virginia Wolf, featuring Jason on drums, was an opening act on The Firm's 1986 USA Tour. I can’t imagine Jimmy appreciates these comments. Here’s what my cd/dvd says. Believe me I’m not going to get into some “Rock Star” style fight with you Steve. Carrying on like an Asperger Syndrome rock n roll wannabe is your gig, not mine. I just go with what is put out there by the band and what Jason Bonham has said. 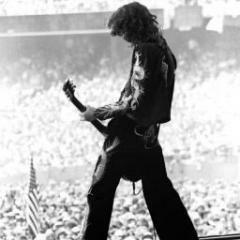 Where did jimmy Page stay on April 15, 1977 again?? Room number? Room service?? I’m sure you have it all filed away somewhere...allegedly. Bigly.